And a little more about the Edwards Award, from the YALSA website. School Library Journal is the award's donor and funds the award and administrative cost. The recipient receives a cash prize of $2,000 plus an appropriate citation. 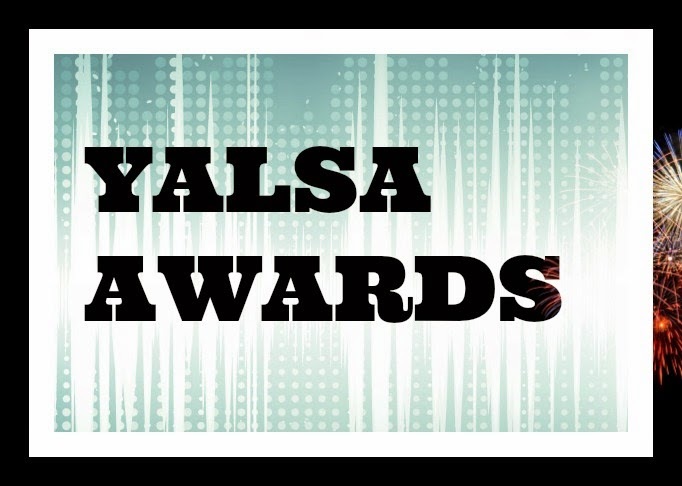 The award (cash prize and citation) will be presented to the winning author at the YALSA luncheon or other gala affair at the ALA Annual Conference. The author is required to attend the event to accept the award and to make a short acceptance speech. Currently, the presentation is made at a brunch during ALA. I've attended the event both as a lunch event and as the brunch, and both ways it's a great event.